Oscars live stream: How to watch 2015 Academy Awards online. 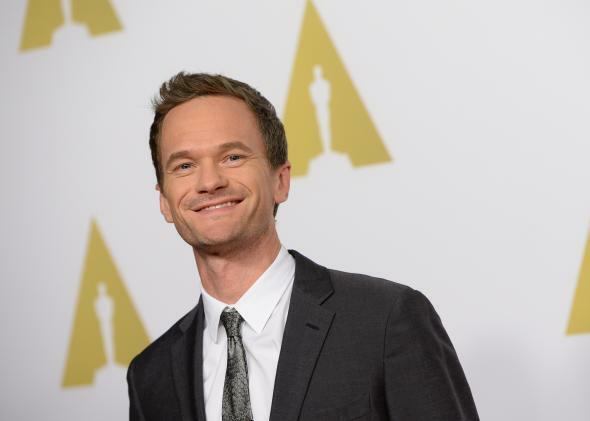 ABC is not making it easy to watch Neil Patrick Harris host the 2015 Oscars online. Update, Feb. 23, 2015, 1:07 a.m.: ABC’s live stream of the Oscars didn’t go so well, abruptly cutting more than once to unrelated programming like The Social Network and Jeopardy. You can read more about the live-stream problems here. Original story: Hollywood’s greatest annual festival of self-promotion will be televised nationally on ABC, with red-carpet coverage starting at 7 p.m. Eastern time on Sunday. The show itself starts at 8:30 p.m. Eastern. Good news: The Oscars will also be broadcast online. Bad news: You’ll only be able to watch the online broadcast if you already have a cable TV subscription—in which case, why would you need to watch it online? And even if you do have cable, you’ll only be able to watch it if you reside in one of the eight markets that have ABC-owned-and-operated stations. For those who meet the criteria, ABC will live-stream the show on the Web at the following URL: http://abc.go.com/watch-live. You can also watch it on mobile devices by downloading the Watch ABC app, which is available for free on Apple’s App Store, the Google Play store, and the Amazon Appstore. Do you live in Atlanta, Seattle, Detroit, or any other U.S. city aside from the eight above? You’re out of luck if you were hoping to watch the Oscars online. What you can watch without a verified cable subscription is an “Oscars backstage” live feed that will include red-carpet interviews and such, but not the actual telecast. That’s available on the Web, the Watch ABC app, or ABC’s Facebook page. It’s designed more as a “second-screen” option for people who are watching the actual show on their TV. If you’re a cable cord-cutter, your best bet for watching the actual show is to watch it over the air, on a TV with a digital antenna. If this all sounds rather cruel and arbitrary from the cord-cutter’s perspective, it is. But ABC has business reasons for limiting its live stream in this way. In short, networks don’t make as much money from the ads sold on live streams of their telecasts. And, in general, media companies have little interest in catering to cord-cutters, whom they view as undermining a bulwark of their business models. Yes, ABC networks are free to watch over the air, but ABC is owned by Disney, and the company also owns a slew of cable channels. The Oscars are one case where even the much-hyped new “cable for cord-cutters” service, Sling TV, won’t help you. Sling TV so far is limited to a select group of cable channels, including CNN and ESPN, and does not include any of the major networks. Aereo, we miss you!